5 Major Changes in NFPA 70E 2018 including new Arc Flash Label Requirements! This guide will provide an explanation on all the major changes that have been implemented in new NFPA (National Fire Protection Agency) 70E 2018 edition. 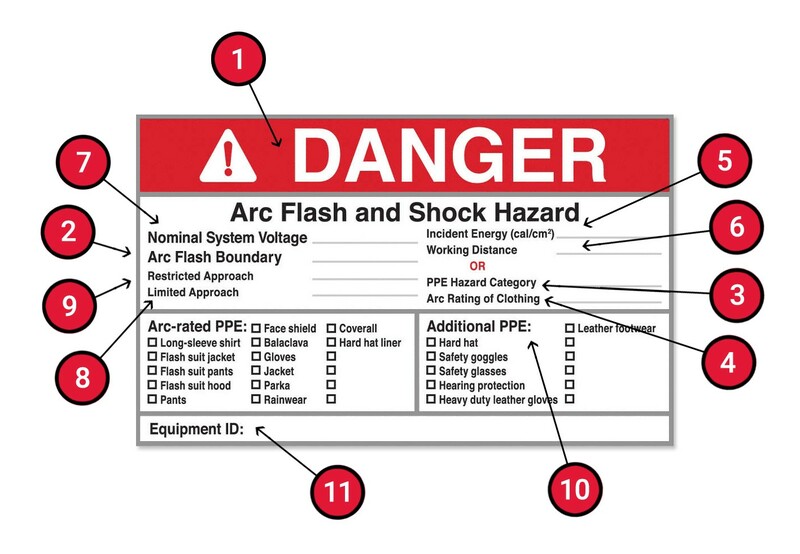 If you are familiar with the concept of Arc flash studies, then you must also know the significance of Arc flash labels in your facility and the ramifications of an arc flash. So, what exactly is the information that is no longer required in Arc flash labels?? Read the article to learn more about it! We had previously written an article about IEEE guide for performing Arc Flash Hazard Calculations. If you haven’t checked it out, please click below. It will help you to grasp the information available in this article easily. Information Not Required Any More! After several revisions, NFPA launched the 2018 version of NFPA 70E as an evolution of electrical safety. This new edition of NFPA 70E include several updates, including changes to the Arc flash tables, electrical safety and maintenance planning, the hierarchy of risk controls, conformity assessment of PPE, and Risk Assessments. Before going into the details of the first major change, Let’s first get up to speed on the minor change related to the definition of Arc flash boundary. The revised definition of arc flash boundary no longer uses the term “Second degree burn” Instead, “Arc flash hazard exists when incident energy equals 1.2 cal/cm2 ” – “Second degree” has been replaced by the term “Stoll skin Burn”. As per the new edition of NFPA 70E 2018, It is clearly mentioned that only one of the following two methods can be used for the selection of Arc flash PPE, but not both at the same time. b: The Arc flash PPE category method. In earlier editions of the standard, the PPE Category method contained a table that specified whether the particular arc flash PPE was required based upon a list of common tasks on each specific equipment. However, with the addition of the new NFPA 70E, the appropriate method to protect the worker might not be PPE category tables as previously emphasized. Most users preferred to use the PPE Category “Yes/No” tables and the values determined for incident energy — a practice that NFPA 70E specifically prohibited. This confusion was discussed at length by the committee of NFPA members, and the result is a new Table 130.5(C). However, it should be noted that this table no longer tells the user whether arc flash PPE is required or not? In a format of “Yes/No”. Rather, this new table helps in determining if additional measures are needed to protect workers by specifying whether an arc flash is likely to occur for given tasks. The arc flash PPE method should only be used if an incident energy analysis has not been conducted. On the flip side, if an incident energy analysis has been performed, the estimated incident energy exposure to the worker is calculated and an arc flash hazard warning label is applied to the equipment. In 2018 NFPA 70E edition, Incident energy levels have been changed and categorized into the levels of A, B, C and D.
Purchasing the right PPE (Personal Protective Equipment) has always been a challenge for companies or those individuals responsible for making such decisions in their electrical facilities. To address the issue, the NFPA 70E standard has proposed to utilize the ANSI/ISEA 125-2014 national consensus standard for conformity assessments of safety and personal protective equipment in its 2018 edition. This conformity assessment provides an organized and systematic way for a supplier to verify that a product meets the requirements of a performance standard, communicating verification to the purchaser and user. The bottom line is that as per the new statement, you would not require additional PPE to perform infrared thermography. However, the table further clarifies that this does not include opening equipment or SWGR (Switchgear) doors or covers that expose energized conductors, which specifically increases the likelihood of the occurrence of an arcing fault and arc flashover. 2’-2” on 751-15,000V AC systems. To summarize, the above mentioned changes are the ones related specifically to arc flash studies. Other changes shall be covered in a separate article in the future. Though, facility owners and managers are encouraged to take the following steps to get theiryour facility up-to-date with the 2018 NFPA 70E. 1. Ensure all the "qualified workers" have access to the 2018 NFPA 70E standard. 2. Ensure that your electrical safety and maintenance program is up to date with the latest requirements of the NFPA 70E 2018. 3. Schedule on-site NFPA 70E electrical power safety or Arc flash training for all employees. They shall be trained to identify and understand the relationship between electrical hazards and possible injury. Furthermore, The ANSI/ISEA 125-2014 makes it easy for PPE manufactures to meet some performance standard and makes it easy for them to communicate this verification to end users. It also standardizes requirements for initial and ongoing testing, process quality, record, and surveillance management, and declaration of conformity. Furthermore, the standard offers alternative methods of conformity assessment. Are qualified persons required to complete a Job Safety Analysis (JSA) before starting work? How to use or implement the New Arc Flash PPE tables? With the new Arc flash label requirements, it is incumbent for you to make all necessary changes in your facility to ensure full compliance with NFPA 70E 2018. 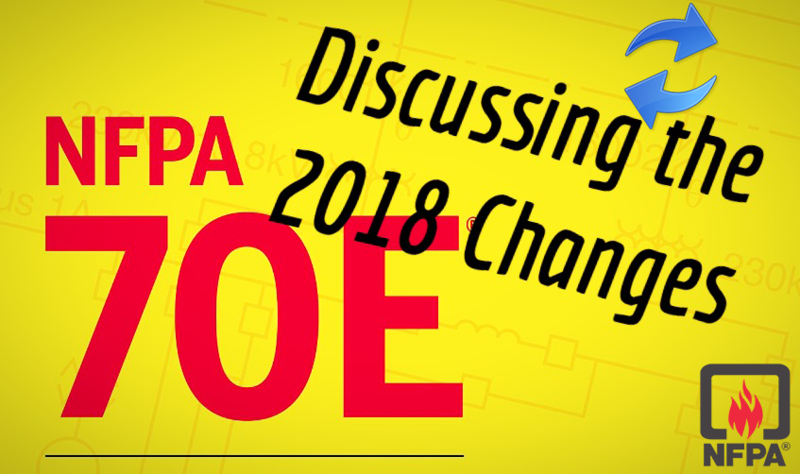 Electrical Facility owners must know the consequences of not implementing the new changes as proposed in the new edition of NFPA 70E 2018.